Anyone who knows me could tell you that yarn crafts are not my thing. I once managed to render a square knitted dishcloth in the shape of a guitar pick, and my early crochet attempts could have held water. But for whatever reason, I decided to knit a hat this month — not with needles like my amazingly talented sister, but with my easy-schmeasy Provo Craft Knifty Knitter round loom set. I’d picked up a free pattern at Jo-Ann Fabric, and then I waited for coupons to buy the yarn. 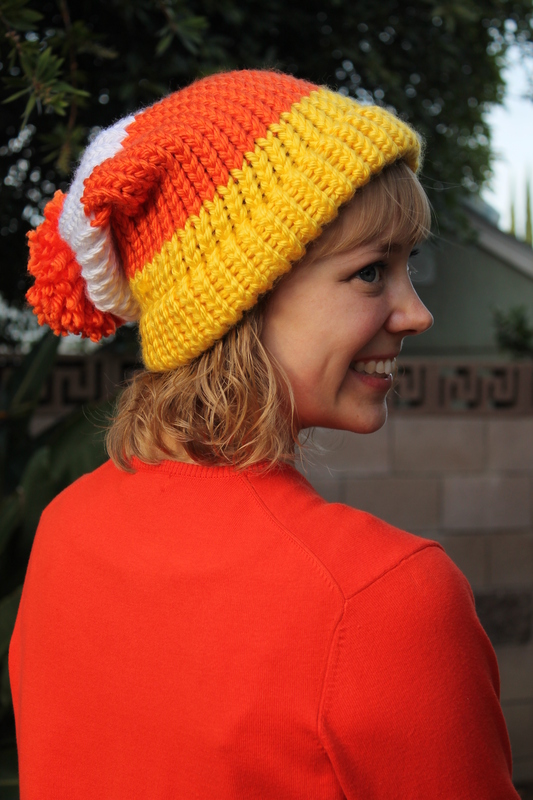 Nothing says my favorite colors like a candy corn hat, and it looked so simple I figured even I could pull it off. Simple, however, doesn’t mean Abigail-proof. In my typical gung-ho fashion I managed to go about 14 rows on the wrong size loom because I didn’t trust the pattern’s directions (they were apparently more trustworthy than I thought). After starting over, I tweaked the instructions to add a hatband and miscalculated the new number of rows I needed. Taking out stitches isn’t so bad, but trying to re-hook 40-plus loops back onto a loom without letting the stitches slip is tedious. 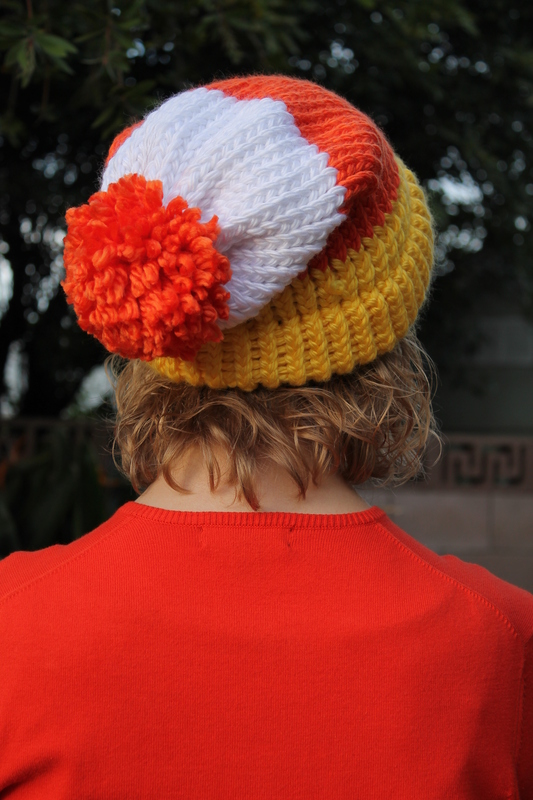 Preliminary turbulence behind me, I finished the hat without incident. When the weather cools down, I look forward to wearing it as a tribute to my corny sense of humor and as a reminder that directions are there for a reason.